Printing: One side/two side - One / Two / Three colors. Weight: 55, 60, 65, 70 up to 220 GSM or even high as per requirement. Size: 45 – 220 cm or as per requirement. We are engaged in manufacturing and supplying of PP Woven Bag to our valuable clients. R. L. Commercial Pvt. Ltd.
We offer high quality range of PP Woven Bag. Widely in demand as it is very durable. It exhibits extreme resistance to many chemical solvents, bases and acids. It is according to the client specification.We offer our range at market leading prices. Sharon's CHERRY BLOSSOM Sling Bag will wow not only with its style but also with its lovely textured leather that makes handling it a pleasure. The sheer convenience of multiple pockets inside and durable quality zippers makes for an unbeatable combination. Metal rings connecting straps to the body ensure their strength. 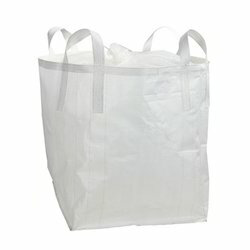 The company offers high quality PP woven bags in india and abroad. We manufacture pp woven bags in a hi-tech setup. Each pp woven bag is extremely strong and light-weight. The pp woven bags are offered in different colors and sizes at affordable prices. - Light weight and easy & cheap to transport. - Cost effective in comparison to other alternative packing material. - High Tensile strength and durability. 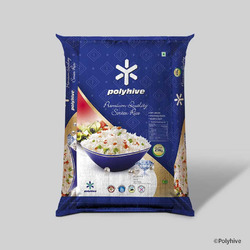 - Water & moisture proof PP woven sacks are ideal for packing of food grains and other materials.